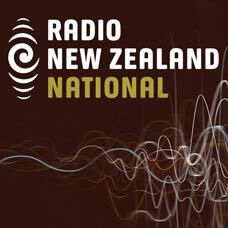 DigitalNZ brings together more than 30 million items from institutions such as Saturday Morning, Radio New Zealand so that they are easy to find and use. We added this one from this URL on 22 November, 2015, and last updated what we know about it on 28 November, 2015. This item is an audio clip. It was created by an unknown creator on or around the date 20/11/2015. Dr Anae is Senior Lecturer and Director of Research of Pacific Studies at the University of Auckland; Will 'Ilolahia is the founder of the Waiata Artists Trust. Both were members of the Polynesian Panther Party, a civil rights movement started by the first New Zealand-born generation of Pacific peoples, and commemorated in the new edition of the book edited by Dr Anae with Lautofa Iuli and Leilani Tamu: Polynesian Panthers: Pacific Protest and Affirmative Action in Aotearoa New Zealand 1971-1981.